It’s a scent we all recognize. Many of us would claim that we even like the nose-stinging, somewhat woodsy fragrance. And no, we’re not talking about fly spray. 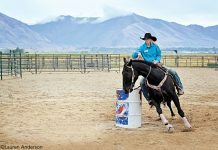 It’s the scent of Absorbine, the tried-and-true, reliable liniment that’s probably sitting on the shelf of your tackroom right now. W. F. Young, Inc.’s Absorbine has a reputation for its brand recognition and customer loyalty in the marketplace. 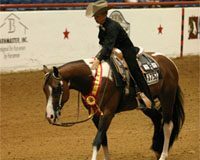 And in case you didn’t realize it, W. F. Young also makes such popular products as ShowSheen Hair Polish and Detangler, UltraShield Insecticide and Repellant, Hooflex hoof care products and Horseman’s One Step Leather Cleaner and Conditioner. Such success and name brand recognition didn’t come overnight, however. An industry leader in multiple product categories, the company’s success started with its flagship product, Absorbine Veterinary Liniment, in 1892. That began with a liniment recipe created by Mary Ida Young. An amateur horticulturist, Mary Ida developed her all-natural formula because she disliked the harsh chemicals that were used at the time to treat soreness and lameness in horses. Her husband Wilbur used the product on the horse he drove while delivering pianos for the Wilcox and White Company. As word spread about how effective their liniment was, Wilbur and Mary Ida soon had so many orders that they set up a bathtub in their kitchen to mix enough of the product to meet demand. Officially founded in 1892, W. F. Young, Inc. is still a family-owned business, with a state-of-the-art manufacturing facility in Massachusetts.